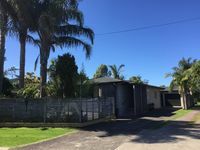 Properties in Thames-Coromandel District average 4.5 out of 5 stars. Property 5: Fisherman's Rest- in Magnificent Mercury Bay. Property 7: Great place to stay for a special holiday. So close to down town easy access. Property 15: Tironui. Stunning ocean, harbour and island views. Estuary edge in private estate. Property 18: Estuary edge in private estate. Property 31: Cute Colville Farm House - be active or RELAX !! 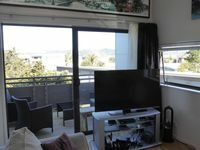 Property 48: Beautiful, private apartment just a stroll across the reserve to the beach. Accommodation was exactly as described 😁 Booking was super efficient, place was easy to find. Very clean &amp; well equipped. Beds comfy. Would definitely select again &amp; happy to recommend to others 😎 Thank you!